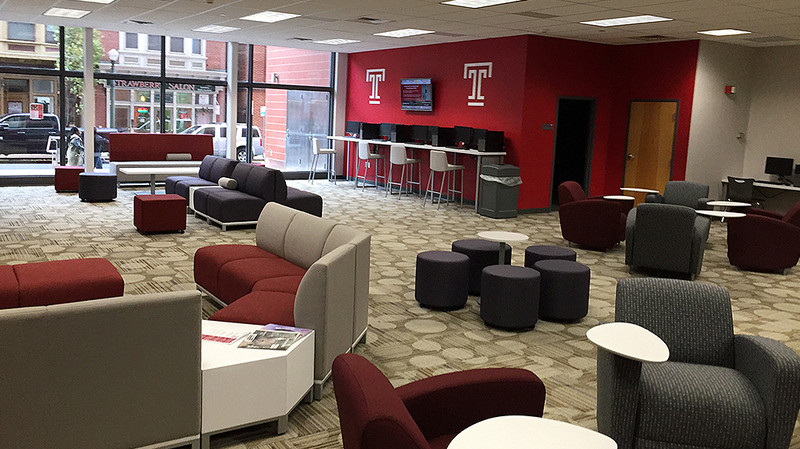 Temple University Harrisburg - Pyramid Construction Services, Inc.
Pyramid Construction Services, Inc. served as the design/build contractor for Temple University’s expanding presence in downtown Harrisburg. 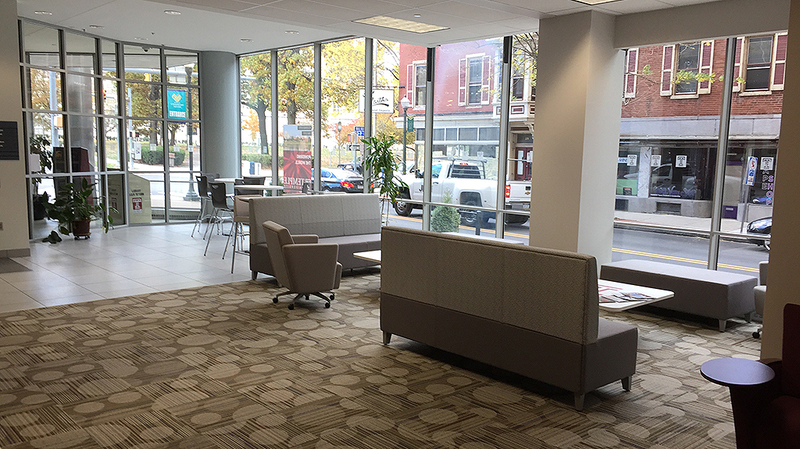 The original project involved the renovation of 35,650 square feet on the first and second floors of the northeast wing of Strawberry Square. 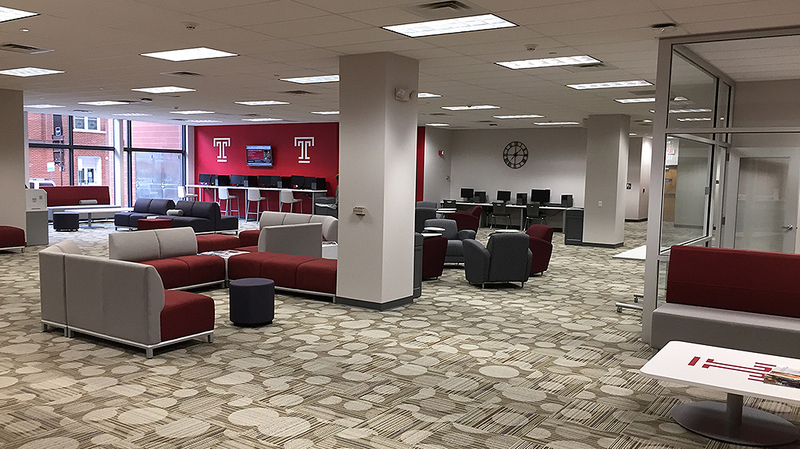 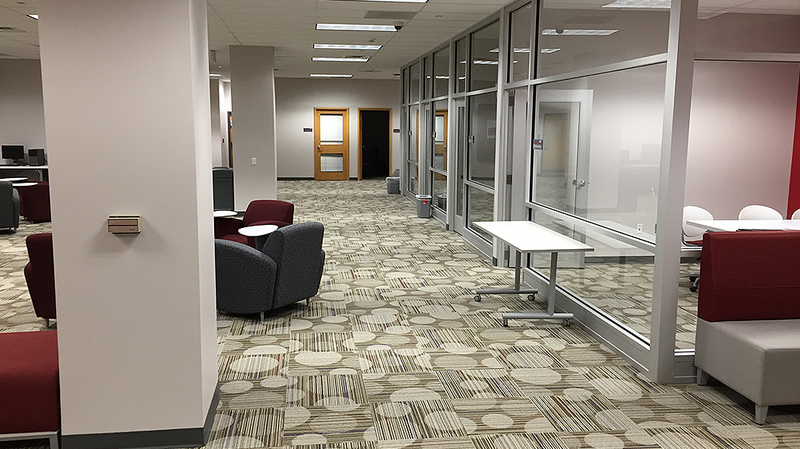 In 2016 a further renovation of the first floor included downsizing the library stacks, adding more computer workstations, installing new carpeting, moving the main entrance to a more inviting, centralized location, and repainting the space to help brighten it. 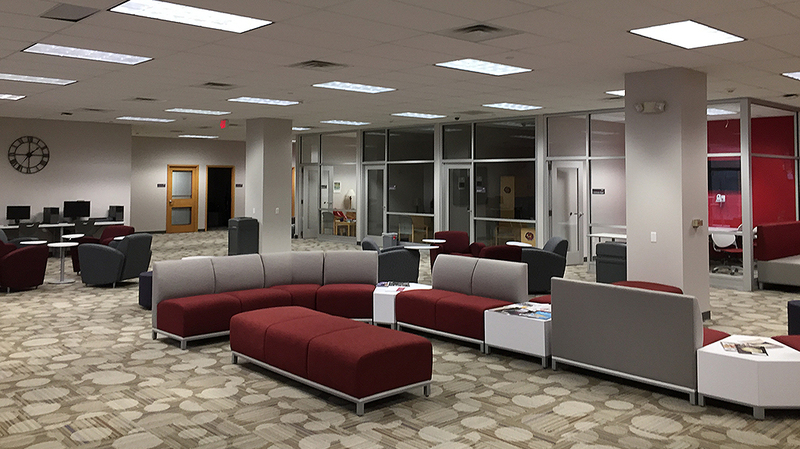 Movable furniture, lounge areas and breakout rooms promote flexibility for small-group study sessions and more active learning for the goal of 1,000 students the campus will eventually serve.